Tuesday, the networks spent 5 minutes, 44 seconds during their evening news shows on Cecil — and that’s not even counting the teasers. 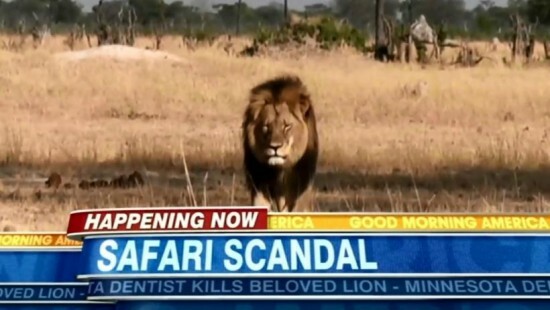 Wednesday morning, ABC, NBC and CBS lamented over the lion for 8 minutes, 17 seconds. But they couldn’t do the same for a story of babies “picked” apart by tweezers.